Jazz lost two strong voices last month. both were pianists; both led long, roductive lives. Marion McPartland, d. August 20, 2013 at age 95. Pianist, composer, but most of all a warm, gracious, inquisitive and knowledgeable radio host, Marion McPartland maintained her weekly "Piano Jazz" radio program for well over 40 years. She began the program on WBIA-FM in NYC in 1964, then moved to NPR in 1978 and continued there until finally leaving in 2011. Her format was simple but challenging: conversation, an invitation to her guest to play a tune or two, then joining her guest for a duet amid more conversation. It had a spontaneous feel, and the high level of musicianship, plus rich unfolding of ideas and history made it consistently exciting. Most guests were pianists, but sometimes a singer, or guitarist was invited. McPartland grew up and studied classical piano in England, became entranced with jazz, playing in USO shows in Europe, where she met Chicago jazz cornetist Jimmy McPartland. She came to the U.S. after they were married, settled in NYC. 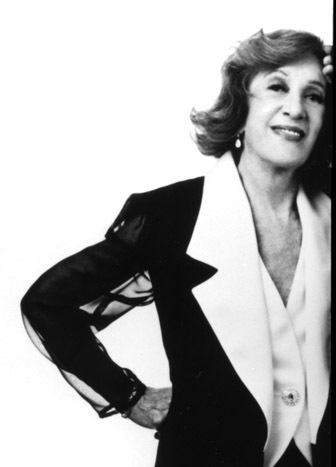 She played in her husband's band, then with his encouragement started her own trio and landed a long term engagement at the Hickory House, and later the Embers, both NYC jazz clubs. She continued to play concerts after the radio show took off, but radio became her focus. Awards included: NEA Jazz Master, Grammy Trustees Award, Down Beat Lifetime Achievement, International Jazz Educators Hall of Fame, and many others. 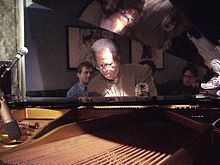 Cedar Walton, d. August 19, 2013 at age 79. Walton was born into a musical family in Dallas, TX in 1934, quickly became a creative young lion and moved to NYC in his early 20's. He did a hitch in the Army in Germany, but Within five years He became a member of Art Blakey's Jazz Messengers, as pianist and arranger. He joined on the same day as trumpeter Freddy Hubbard. A young Wayne Shorter was already in the band. Along the way, Walton sat in with Charlie Parker, later worked and recorded with saxophonists from John Coltrane to Joshua Redman. He was a member of the Benny Golson/Aft Farmer Jazztet and appeared in many other recordings. He was a superlative accompanist and sought after by other musicians, including JJ Johnson, Kenny Dorham, Gigi Gryce, Lee Morgan. He backed Abbey Lincoln for a year. He also composed a number of tunes which have become jazz standards, including "Mosaic," "Bolivia," "Mode for Joe," "Ojez De Rojo'" and "Ugetsu." He made a number of records with his own trio. Walton was also named an NEA Jazz Master in 2010.